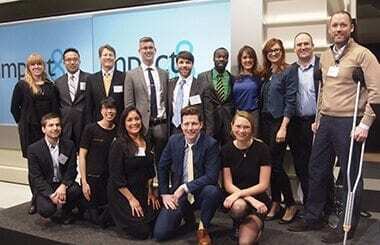 Last December, the first-ever graduates of Impact8 celebrated the culmination of two months of an intensive venture boot camp by ringing the bell (read: pushing the button) to open up the Toronto Stock Exchange. Later that afternoon, the graduates took the stage to pitch their ventures to a roomful of impact investors at the Exchange Tower. Topping off an eventful day, the eight inspiring teams of entrepreneurs shared their stories with a wider audience, celebrating the 2013 Social Finance Awards and the announcement of the inaugural peer-selected Impact8 winner, SunFarmer. Who better to measure a venture’s chance of success than the very entrepreneurs who spent weeks working together, diving into and refining their business models, value propositions, financial forecasts and more. At the midway point of the eight-week program and again at the end of the program, the cohort was invited to rate their peers in terms of product, financials and revenue model, impact and scalability/replicability, customer validation and team. The ratings were completely transparent and were followed by an open and constructive dialogue in which the groups provided feedback to one another on those aspects of their business models that needed work and applauded the successes they had already achieved. It was great to see the scores dramatically improve by the end of the program, as ventures ironed out the wrinkles in their business plans and worked hard to prove that they had what it takes to make it. SunFarmer: The inaugural Impact8 winner! In an exceedingly close race among exceedingly capable entrepreneurs, SunFarmer took the top prize. Entrepreneurs Jason Gray and Andy Moon received the highest praise for their impact and scalability, followed by their product and team. SunFarmer supplies solar energy services to critical facilities such as schools and hospitals in rural communities that lack access to reliable and affordable electricity. The non-profit organization provides both financing and technology solutions through a capital-raising platform, a rent-to-own financing model and technology, design and long-term management that ensure proper installation, monitoring and maintenance. 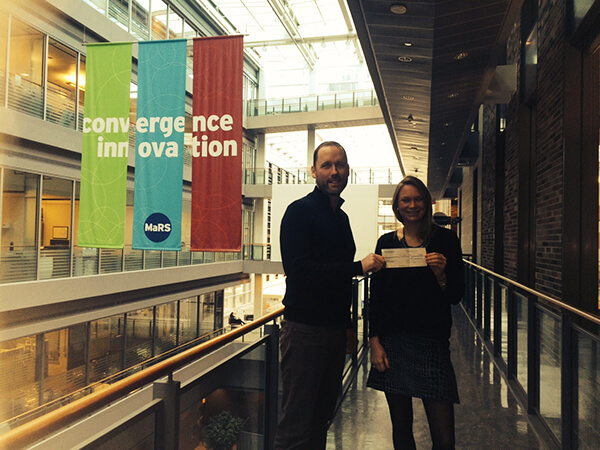 Explore the company’s crowdfunding campaign to learn more and support this impactful venture! MaRS will be following SunFarmer over the next few months as the company breaks ground on its first set of projects in Nepal. Missed out on the first Impact8? There’s more to come. Impact8 is moving toward a sector-focused model, striving to add value by bringing together entrepreneurs working on related social outcomes. The spring 2014 cohort will support innovations that empower individuals to be in control of their health and well-being, with the goal of enabling living and aging well at home and in the community. tools for empowerment, enabling access to information and education, as well as better self-care. Applications for Impact8’s spring 2014 cohort are now open! Visit the Impact8 website to learn more and to access the online application. 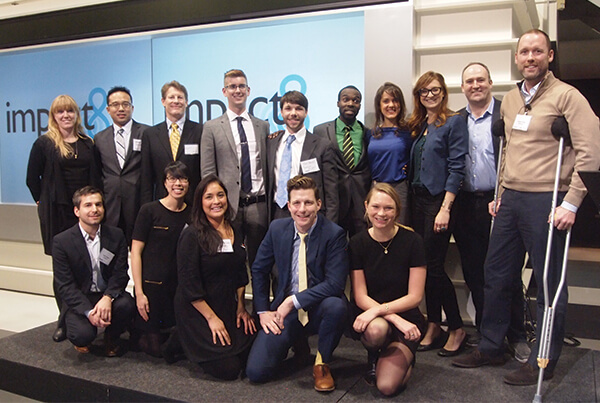 Watch the video below to see the Impact8 cohort open up the Toronto Stock Exchange.